Sarnia in the 1960's saw a young, ambitious Kim Mitchell sweating it out in various line-ups of the same band starting with the name The Grass Company, The Quotations, Big Al's Band and finally ZOOOM, who wound up in Toronto where cover-tunes ruled and original material went unnoticed. Eventually all the members but Mitchell returned to Sarnia. He was starving but getting work doing studio sessions, beer commercials, and playing the hotel and airport lounge circuit. He set off to the Greek island of Rhodes backing up a Greek Tom Jones. Six months later Mitchell invited poet and childhood buddy Pye Dubois (real name Paul Woods) to Greece to co-write some songs, they decided to make it a band project and set about recruiting a line-up. Mitchell returned to Toronto and formed a band with Sarnia keyboardist Terry Watkinson, bassist Mike Tilka and drummer Paul Kersey. 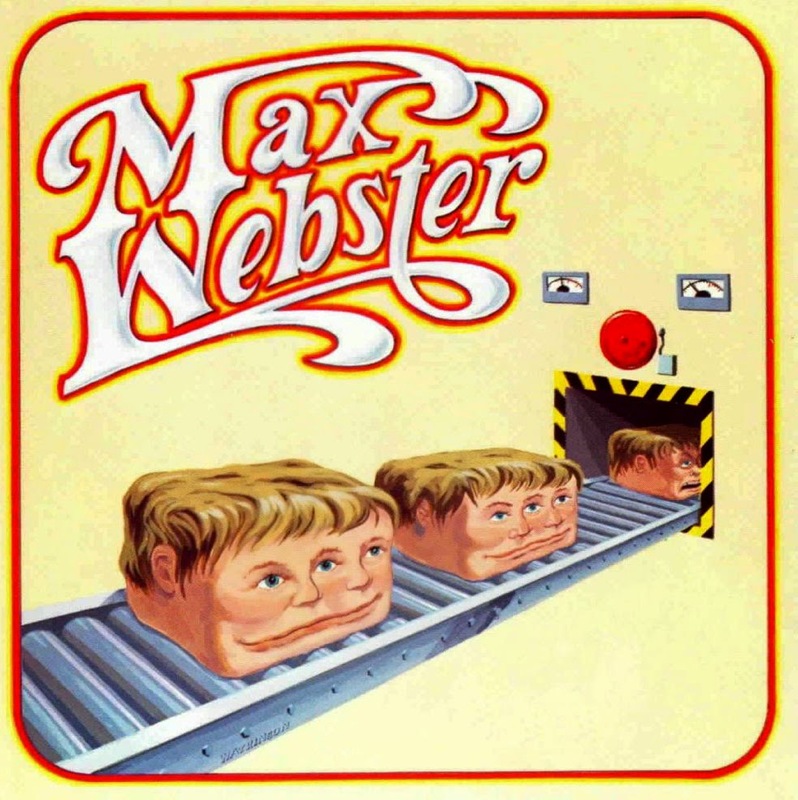 In 1976 they released their debut album "Max Webster", and from the opening riffs of "Hangover" to the clever bridges and hooks in "Here Among The Cats" to the soothing melodies of "Blowing The Blues Away", it was quickly established that Max Webster was a unique Canadian treasure, versatile and tight, possibly not equalled in under-rated sheer musical brilliance since. The album has been certified gold by the Canadian Recording Industry Association.